Reading has innumerable benefits. This is especially true for writers. From inspirational pieces to instructional guides, books help shape you both as a person and as a writer. Reading can also help expand your vocabulary, learn more about specific genres, gain a deeper understand the fundamental and complex elements of writing and much, much more. Reading opens you up to opportunities you never considered. For me, I first discovered I wanted to become a writer when I found myself devouring books at breakneck speed at a young age. I was fascinated by the way I was transported to a different world solely through the words on a page. I wanted in. Fast-forward a few years, and my book collection has grown along with my love of writing. 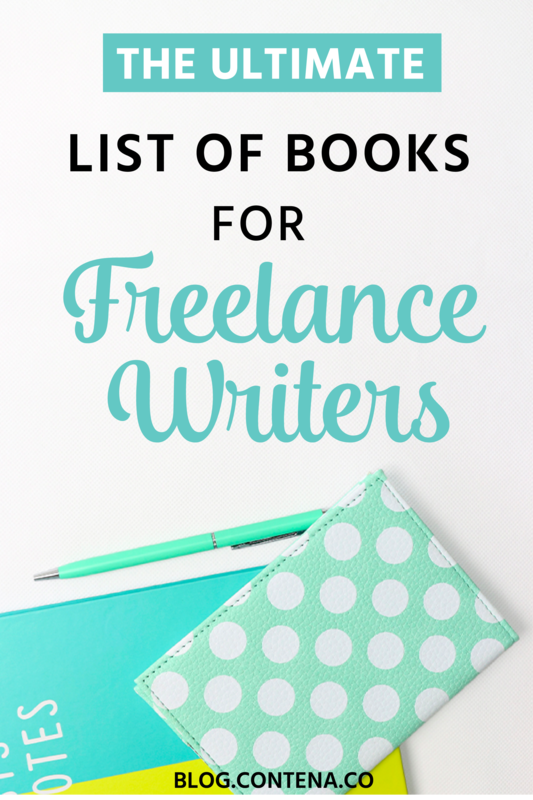 Join me as we dive into a carefully curated a list of books that every freelancer should own to better their craft. Starting out as a brand-spanking new freelancer can be an overwhelming experience. Where a quick Google search will undoubtedly return millions of results for advice on where to begin, having a one-stop-shop guide can quickly help cut through the noise. Written by the founder of the Freelancers Union, Sarah Horowitz is the ultimate authority when it comes to freelancing. Jam-packed with actionable advice, this book gives you a leg up when learning to build and grow your brand. The “Bible” offers best practices, step-by-step guides and tons of other invaluable advice for anyone looking to go into business for themselves. Arguably one of the most significant obstacles for any writer is writer’s block. One moment you’re flush with brilliant ideas and the next you’re staring at a blank screen with no clue what to write next. Lucky for you, books offer plenty of ways to bust through that block. Uplifting and inspirational, this book reads like a conversation with the author making it an easy yet resourceful read. Unlike any “self-help” book I’ve read before, this book is one I’ve found myself reading and re-reading time and time again. Writing prompts are, in my opinion, a must-have for writers of all genres and The San Francisco Writers’ Grotto delivers just that. The book can serve as a write-in journal of sorts as after each prompt, the reader is given blank space to let their inspiration come to life. Their collection includes full-size books (“751 More Things To Write About”, “642 Things To Write About”), smaller versions you can pop into your bag while on the go (“642 Tiny Things to Write About”), and even a few young writers editions for growing wordsmiths. Another common struggle among freelancers is how to grow your business. Do you have a few clients, a social media presence, and a website, but don’t know how to expand your business from there? Check out this book written by someone who has been there, done that. Don’t let the title scare you off; this book is useful for all types of freelancers, not just web designers. Liam Veitch is one of those success stories you dream about becoming when you embark on your freelance journey. However, it wasn’t always smooth sailing for Veitch. This book offers insights and hard truths, as well as lessons he wished he knew his first time around. “Stop Thinking Like a Freelancer” shows you how to stop viewing your freelance work as a series of “one-off gigs” and start treating it like what it is, a business. Once you get into the business-first mindset, the wins will follow. There never does seem to be enough time in a day, especially for a freelancer. Personally, I’m always on the hunt for ways to boost my productivity and make the most out of my day. If you’re not familiar, Tim Ferriss is an author, serial entrepreneur, and public speaker. His “claim to fame” as a lifestyle expert is finding how to be the most productive version of yourself, in the shortest amount of time. Hate him or love him, his books have some truly valuable gems for any freelancer. A lot of freelancers go into business for themselves to achieve a better work-life balance. Ferriss’ New York Times best-selling book outlines how you can improve upon that idea and fully reap the benefits of the freelance life. This book, which has also landed on Forbes’ “10 Business Books Every Freelancer Should Read In 2017“, suggests that no man is an island and by outsourcing and using networking connections, you eventually can work just four hours a week and still make a great living. While I find that the idea of such a shortened workweek to be slightly unrealistic, the book offers actionable advice that is incredibly useful for freelancers seeking that dream of work-life balance. 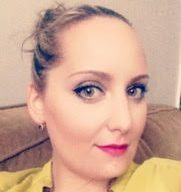 While every writer’s voice is unique, there is a set of standards that should be applied as best-practice. Clients may offer up their own style guide or sheet for their specific publications, but when it comes to writing for the web, there’s one leader among the pack that helped set the industry standard. One of the most thorough style guides available, this book helps break down the essential elements of writing for the digital age. While some of the content on SEO could use some updating (it is an area that is changing every day), the rest of the guide is almost entirely evergreen and valuable for any writer making their living working online. This guide addresses issues pertinent to writers, editors, bloggers, and more. Any freelancer writing web-specific pieces should have this book in their arsenal, as they’ll be sure to be referring to it time and time again. If you’re the type of writer who thinks you can’t learn about writing by reading about writing, think again. Written by world-renowned bestselling authors, the following memoirs are staples in the libraries of writers across the globe, and for good reason. From witty anecdotes to practical advice, these books are essential tools for any writers’ toolbox. In case you’ve been living under a rock, Stephen King is the author of over 50 worldwide best-selling novels. In short, the man knows his stuff. His memoir is full of fascinating anecdotes as well as “how-to’s” and practical advice for any aspiring fiction writer. You won’t find any step-by-step instructions in this book but rather insights into the processes and efforts that go into creating a riveting piece of work. An evergreen classic, “Bird by Bird” delves into topics writers dread but are vital for a writers’ success such as self-editing, finding your voice, writer’s block, and so much more. An easy read with notes of humor throughout, “Bird by Bird” is an absolute must-read for any writer. As the full title suggests, “Bird by Bird” serves up a whole lot more than just writing advice in this timeless memoir. Lamott not only breaks down practical tactics for writing but muses on the life of a writer and all the struggles that it entails. It’s no secret that the freelance life is a busy one. We’re often juggling client work, personal responsibility and business obligations, all at once. Finding time to curl up with a book may seem as elusive as a mirage in the desert. One great reason to introduce audiobooks into your repertoire is to enjoy reading without sacrificing workable hours. Audiobooks allow even the busiest of freelancers to reap the benefits of reading, no matter their schedule. Note: A few of the above-mentioned books also come in audiobook format! Busy cooking or getting some laundry done? Thanks to audiobooks, those moments become an opportunity for reading. I first started listening to audiobooks on my commute to and from my old job. I soon found myself circling the block once or twice just to finish up a chapter. With services like Audible or my personal favorite, through your local library (free! ), audiobooks are accessible on any device and breeze to dive into. As a freelance writer, it doesn’t matter why or how you read, as long as you are reading. Better your craft, expand your mind, and become a more skillful writer through reading.